When Air or Nitrogen is made to flow through a chamber containing Aluminum Oxide Powder, it sets the particles of Aluminum Oxide in motion. It also separates them and suspends them to a stable level to give the particles the appearance of turbulence quite similar to the state of boiling liquid. This is called fluidization and the medium is called the fluidized bed. This fluidized bed when heated, the heat is distributed very quickly and evenly throughout the chamber and is rapidly transferred to the objects immersed in to it. 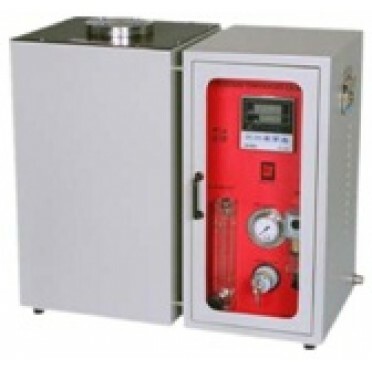 The temperature of the fluidized bed is precisely controlled to make it a stable, non toxic, uniform heat source used for calibration. Volume of Media : 3.5 Ltrs. TOP" is first manufacturer of "DIGIDIAL" range of Digital Temperature Gauges / Digital Dial Thermome..